So, for all of you still enamored with the F4, this might interest you. 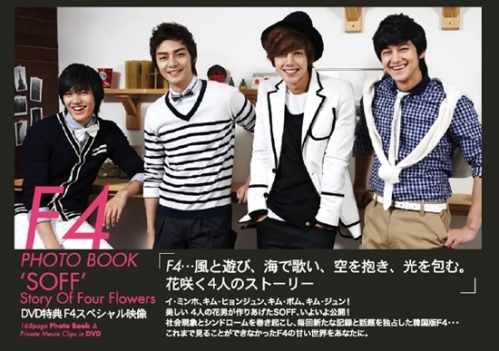 It’s a bit late coming, but they released a photo book, ‘Story of Four Flowers’ with pictures of the F4. I am uploading some scans I found. I have stolen them from ashtoh, so all credits to her.